Masabi’s Justride Platform is delivering mobile ticketing to riders and Swiftly’s Transitime solution is enabling accurate real time passenger information for journey planning applications at Calif.'s SMART. Masabi and Swiftly, a big data and mobility services platform for public transit, have formed a partnership for North America. Under terms of the agreement the companies will work together to help agencies improve the rider experience by offering a combined best-of-breed vehicle tracking, real-time data and ticketing solution. The partnership will also see Swiftly’s real-time vehicle data solution integrated into Masabi’s Justride ticketing applications, when requested by the transit agency. 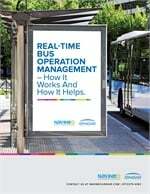 This will help agencies quickly and cost-effectively enhance the rider experience through core digital services, allowing them to offer their riders best-of-breed real-time arrival information and mobile ticketing. The end result is that passengers can save time, avoid waiting for the bus, standing in line or having to carry cash for tickets. Furthermore, this combined solution is built on an open platform, allowing this functionality to be built into any mobile application. Masabi and Swiftly are already delivering services for joint agencies, including Calif.’s Sonoma-Marin Area Rail Transit. 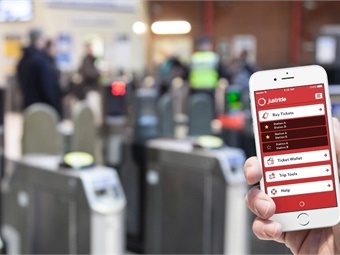 In these agencies Masabi’s Justride Platform is delivering mobile ticketing to riders and Swiftly’s Transitime solution is enabling accurate real time passenger information for journey planning applications. Swiftly’s solution enables an open ecosystem through APIs, allowing riders to access real-time information using whichever journey planning service they choose. This includes being made available to agencies within Masabi’s ticketing applications, helping them move around the city quickly and conveniently. Similarly, Masabi’s Justride Platform enables tickets to be purchased via an agency branded app, SDK integration into third party urban mobility apps, ticketing APIs, and web sales portals. This open ecosystem enables riders to access tickets and real time information through multiple interfaces increasing the accessibility, discoverability, and convenience of public transit services.